Tahliah Debrett Barnett is an English singer-songwriter that’s better known as FKA Twigs. 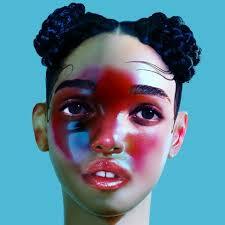 Ms. Twigs got her start in 2012 and released her trip hop full-length debut LP1 to critical acclaim last August. It was preceded by 2 EP’s and she plans to release a third sometime in 2015. LP1 showed up on almost every 2014 Best Albums Of The Year List (except mine), and DJ Joziah at Sirius XMU proclaimed it his favorite from 2014.